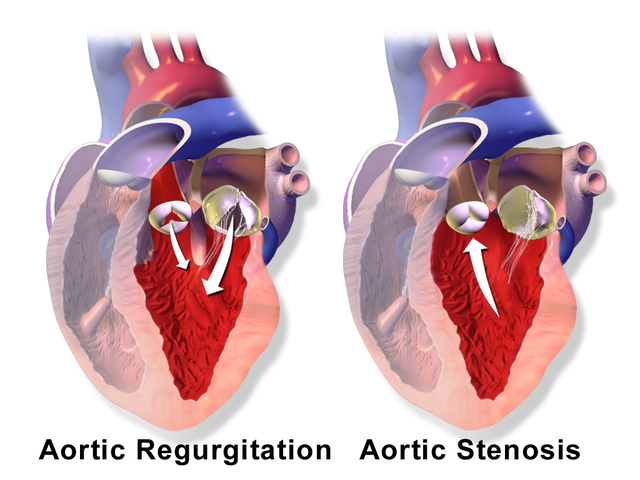 The disease conditions which cause a functional change in the aortic valve include aortic regurgitation and aortic stenosis. Aortic sclerosis represents a thickening of the aortic valve, which could progress to the complete stenosis of the aortic valve if not managed. Aortic sclerosis is also considered as one of the markers for coronary atherosclerosis. The treatment involves conservative management of the risk factor and treatment of mechanical stress, which leads to the progress. Aortic valve sclerosis is defined as the thickening and calcification of the aortic valve, but there is no obstruction of the ventricular flow of the blood. This condition affects the aortic valve and may lead to the progression of aortic stenosis. Aortic sclerosis is increasingly prevalent in older age adults and the risk increases with an increase in the age. Added to this, commodities such as hypertension and renal disease are risk factors for the development of aortic sclerosis. There is an increase in prevalence in person with the habit of smoking and an elevated lipoprotein level. The three key factors that are responsible for the development of aortic sclerosis are lipid accumulation, inflammation followed by calcification. However, these factors can be integrated with the occurrence and presence of certain risk factors. These will be detailed below. Elder age group: with the increase in the age of the person, there occurs a reduction in the mobility of the aortic valve. Metabolic syndrome (consists of pentad: abdominal obesity, high triglyceride, low HDL, high blood pressure and high blood glucose level) is also associated with the risk of aortic sclerosis. There has been a correlation with the increase in the risk of aortic sclerosis in persons with an increase in serum calcium, phosphate, PTH (parathyroid hormone level) and 25 hydroxyvitamin D level. Although the association between the conditions have been shown, the complete causative reasoning could not be done. Mechanical stress causes damage to the aortic valve (particularly the endothelium of the aortic valve). This damage leads to the lipid accumulation, which, in turn, leads to the oxidation of lipid due to the development of inflammation as a resolving mechanism. 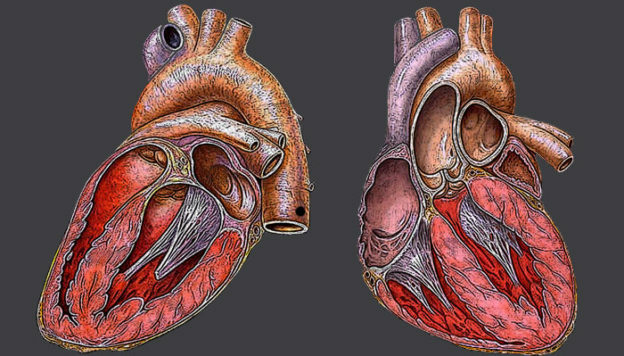 The reason for mechanical stress could be hypertension, ventricular hypertrophy, older age group associated with stenosis of the root of the aortic valve. There is also familial association for the occurrence of aortic valve sclerosis as evidenced by its association with genetic factors, such as single nucleotide polymorphism such as rs10455872 located in the lipoprotein, a gene in the intron sequence (intron is the part of the gene which is the coding sequence as opposed by the exon, which refers to the non-coding sequence of a gene). This single nucleotide polymorphism is associated with an increase in the level of circulating lipoprotein, which is a risk factor for the development of atherosclerosis. In addition to this, LDLc related gene, vitamin D receptor and ACE (Angiotensin converting enzyme) are also linked with the occurrence of aortic sclerosis. There has also been an increase in the occurrence of aortic sclerosis in patients with a familial history of hypercholesterolemia. The NOTCH1 gene, which plays a key role in the regulation by deciding the fate of the osteoblast cells of the aortic valve, is also involved in the development of aortic sclerosis (especially in the mutation of the NOTCH1 gene). Estrogen receptor alpha gene (ORalpha gene) is also shown to be one of the factors associated with aortic sclerosis in post-menopausal women (3). In adolescent females, it is linked with that of abnormal lipid level. According to the ACC/AHA 2006 valvular heart disease guidelines, an aortic valve jet velocity of less than or equal to 2.5 meters per second constitutes aortic sclerosis and a further increase in the value constituting the grading involving aortic stenosis. This divides the aortic stenosis into 3 categories namely mild, moderate and severe. Severe consists of greater than 4. Mean gradient (in mmHg): The mean gradient is divided into mild, moderate and severe, based on the value of < 20, 20–40 and > 40 respectively. Indexed AVA (in cm2/m2), which is divided into > 0.85, 0.60–0.85, and < 0.6. The pathway by which the development of aortic sclerosis occurs follows the same pathology as that of atherosclerosis. This involves an initial accumulation of lipid, which, on progression, causes the destruction of the lining. This induces the inflammation as a repairing and healing mechanism. As this process propagates further, there occurs calcium deposition, which initiates sclerosis. Apolipoprotein b and e accumulate in the lining of the aortic valve and these lipids, in turn, undergo oxidation. The oxidation leads to the destruction of the lining of the cells of the aortic valve, which, in turn, leads to the infiltration of T lymphocytes and macrophages leading to the inflammation, as evidenced by the histopathology of the specimen. The process of inflammation of the aortic valve leads to the deposition of calcium, which leads to the calcification of the aortic valve. The inflammation also leads to the fibrosis of the valve. Fibrosis and calcification are responsible for the thickened nature of the aortic valve, which is defined as aortic sclerosis. The process, when left unchecked and with the persistence of the risk factors such as hypertension, leads to the further progress of the disease condition, ultimately leading to aortic sclerosis. 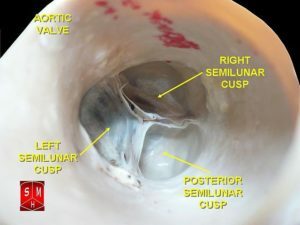 As the aortic valve is not completely blocked in many of the cases, the patient presents without any characteristic symptoms and is asymptomatic. On undertaking cardiovascular examination in these patients, the systolic ejection murmur (during the mid-systolic phase) could be detected and it will act as a vital clue in the diagnosis of aortic sclerosis. In some of the cases, the cardiovascular examination could have no murmur; thus, the onus lies on the diagnosis of the condition using the radiological techniques, such as echocardiography. In patients who are asymptomatic, the routine follows up using electrocardiogram as an essential feature. As we said before, the patients who are not controlled adequately progress to aortic stenosis. The aortic stenosis is associated with calcification and thickening of the aortic valve. The severity of the aortic valve stenosis is one of the predicting factors in deciding the severity of aortic stenosis. In addition to this, the shift of the asymptomatic person to the symptomatic stage in aortic sclerosis also constitutes the progression of aortic sclerosis. The transthoracic echocardiography aids the diagnosis in asymptomatic patients. In addition to this, the conditions which are described earlier in the etiology, such as aortic calcification, can be diagnosed using a CT scan as the thickness of the aortic valve. It is very important to distinguish aortic sclerosis and aortic stenosis on echocardiography, which can be done on assessing the mobility of the valve leaflets and velocities of the blood across the chambers as assessed by Doppler. Added to this, the surface and center of the valve show irregularities and an increase in the signals (echogenicity). The velocity and the mobility of the valve remain unaffected in the stage of aortic sclerosis. The more the impedance of the aortic valve, correspondingly the velocity will be increasing as assessed by flow in the echocardiography. The differential diagnosis includes the conditions in which the systolic murmur occurs. The flow in aortic stenosis would be obstructed (as assessed by the increase in the velocity in the echo). The mobility of the valves is reduced. Hypertrophic cardiomyopathy can be distinguished in echocardiography by the presence of hypertrophic along the left ventricular wall. This would be present along with the outflow obstruction, which is absent in aortic sclerosis. Mitral regurgitation can be distinguished by the presence of mitral regurgitation jet as assessed by echocardiography. The presence of aortic stenosis at the supra- and a sub-valvular level is also a differential diagnosis of aortic sclerosis. The factors which are predicted to be related to the development of aortic sclerosis and their subsequent progressions such as smoking, hypertension, ventricular hypertrophy, hyperlipidemia, and diabetes, need to be controlled and treated appropriately. Other than the risk factor modification, there is no active therapy which is required for aortic valve sclerosis as the blood flow across the valve is not affected by this condition. Lipid-lowering therapies, such as HMG coal reductase inhibitors, have not shown any marked difference in decreasing the rate of progression of the aortic valve sclerosis. 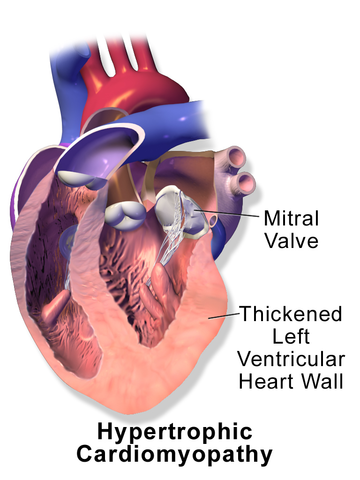 In conditions involving the chambers of the heart, the stasis of the blood is thought to play a main role in the development of thrombus leading to embolism, which, in turn, leads to stroke, but, in aortic valve sclerosis, according to the recommendation, the antithrombotic therapy has no role in the management of aortic valve sclerosis. One more important thing to be considered is that although the imbalance in calcium regulating hormones leads to the calcification of the aortic valve, there is no evidence that the excessive supplementation of calcium in patients suffering from osteoporosis leads to the development of aortic sclerosis. The use of calcium supplements, if required, is indicated in patients with aortic sclerosis. One of the important reasons for emphasizing the early diagnosis of aortic sclerosis is the risk of progressing to aortic stenosis. In addition to this, aortic sclerosis is also a risk factor for other cardiovascular diseases. The damage to the aortic valve also leads to the development of other conditions of aortic dysfunction, such as aortic regurgitation and its related complications. The persons having a risk factor of smoking, hypertension, diabetes and chronic renal failure needs to be managed appropriately at an early stage with regards to their risk factor so that the development of the aortic valve sclerosis is retarded. Over on, persons having a family history of aortic sclerosis need to be followed up for the development of the disease. Prasad Y, Bhalodkar NC. 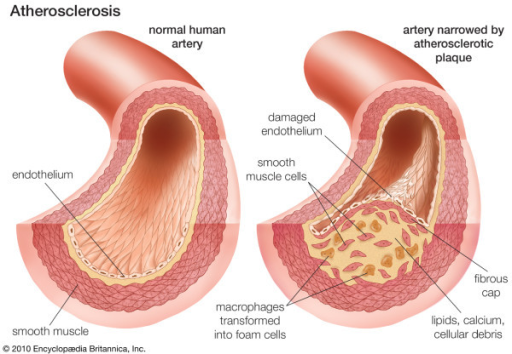 Aortic sclerosis – a marker of coronary atherosclerosis. Clin Cardiol. 2004 Dec;27(12):671–3. Nordstrom P, Glader CA, Dahlen G, Birgander LS, Lorentzon R, Waldenstrom A, et al. Oestrogen receptor alpha gene polymorphism is related to aortic valve sclerosis in postmenopausal women. J Intern Med. 2003 Aug;254(2):140–6. Gharacholou SM, Karon BL, Shub C, Pellikka PA. Aortic valve sclerosis and clinical outcomes: moving toward a definition. Am J Med. 2011 Feb;124(2):103–10. Drolet M-C, Couet J, Arsenault M. Development of aortic valve sclerosis or stenosis in rabbits: role of cholesterol and calcium. J Heart Valve Dis. 2008 Jul;17(4):381–7.